The rule used to be, work out 30 minutes three times a week but for those that sit a lot, is that enough? Well, they are saying now if you sit most of the day you need to get up and move every 30 minutes. Just for a minute or two, walk to another room and back or plan to take care of something to get yourself up and moving. Join PCC and do something good for yourself! Annual membership is only $45 per year! Check out one of our classes for free! Drop in and pay nothing for the first class, then sign up if you like it! As a member of PCC you pay only $3 per class. All parents of students attending our early childcare program are automatically enrolled as members of PCC and can participate in our adult fitness classes for the $3 drop in fee! We offer aerobic classes and Zumba® for all fitness levels. Mats and weights are available for your use, or bring your own! High-low impact aerobic classes with strength training for all fitness levels for men and women of all ages. Our experienced Zumba® instructor, Michelle Brochu, leads a fun dance workout set to a fusion of Latin and international rhythms. We also offer Zumba® Toning which adds resistance by using Zumba® Toning Sticks (or light weights) to help you focus on specific muscle groups. Enhance your sense of rhythm and coordination while toning target zones, including arms, core and lower body. 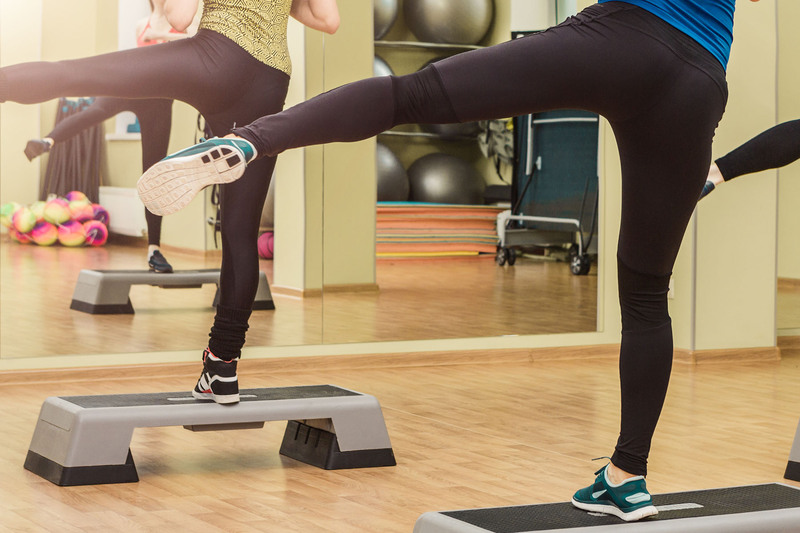 Debbie Drouin and Donna Osborne are certified instructors with over 30+ years of experience and lead our aerobics classes. They team-teach aerobics so there are always two different fitness options to follow. One leads the high impact/high energy track, while the other leads a low impact/more gentle approach. They also emphasize strength training, tone and balance, using free weights, sticks, chairs and bands to mix up the class and keep fitness fun and interesting. The beauty of the class is that it appeals to people of all fitness levels – there are people who have been coming for 30+ years mixed in with beginners.